PA1TK Theo har igennem mange år været QRV fra LX i de store contester. Her er hans desværre sidste rapport om en contest med mange genvordigheder og problemer. Denne historie og andre fra PA land kan findes her. After 6 years I wanted to reactivate LX during a big contest, so the IARU Region 1 VHF contest. For logistical support I got the help of Robert F4VSG and Charles PA0BDC. 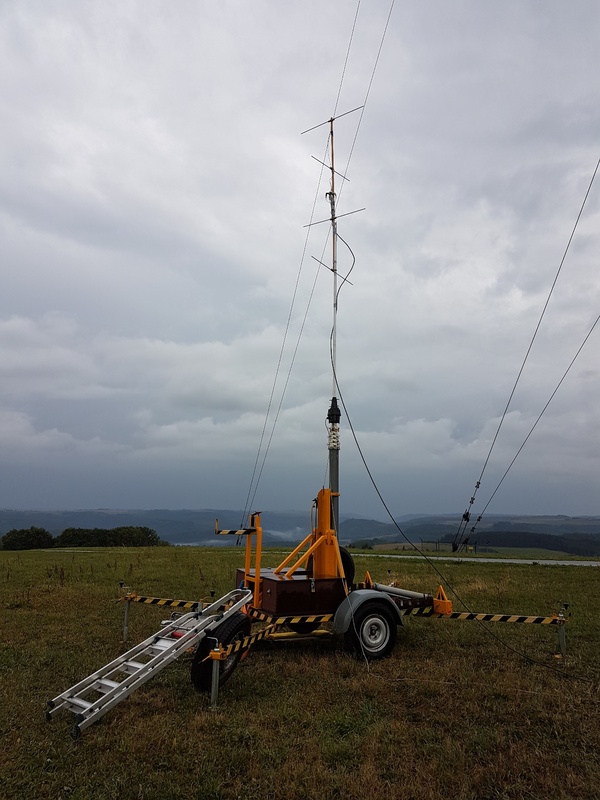 The plan was to put a beacon in the air immediately after arrival as LX / PA1TK / p at 144.400 that worked perfectly with only 50 watts in 4 stacked dipoles, we got a total of 37 tire reports with the best DX IO82 712 km! In the south of the Netherlands the beacon was sometimes S7 to S5 in the North of the Netherlands! 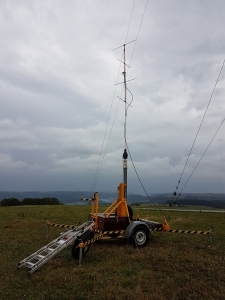 Wednesday started building up the 5 systems, after setting up 2 systems with respectively 2 x 9el F9FT 9 meters above the ground showed that from the west the band noise was about 10 dB higher than to the east … ..but Maybe that will go away by itself …. 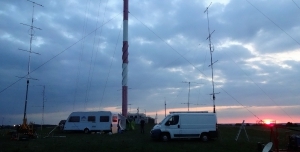  , so keep working quickly.Meanwhile, the caravan and the extra refrigerator brought by Robert F4VSG were neatly turned on the auxiliary unit of 1 kw …. 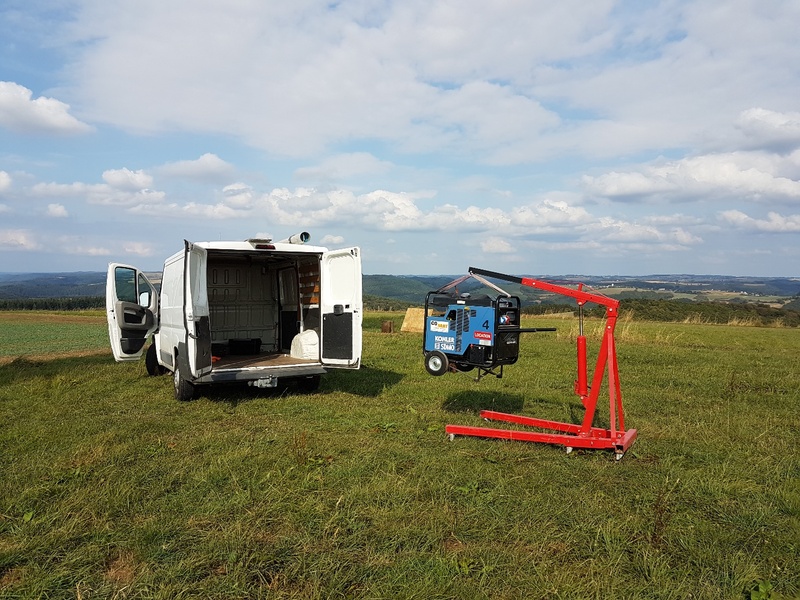 On Thursday morning Robert wanted to test the rented 15KW generator under the moto: “you never know” “… and yes, voltage 250 volts AC 60 Hz … ..  . So there must be something from … .220volt 40Hz, with a load of 2 kw the voltage dropped to 200 volts. That was nothing, decided to go back to the rental location south of LX city … 70km back, 70km back …. 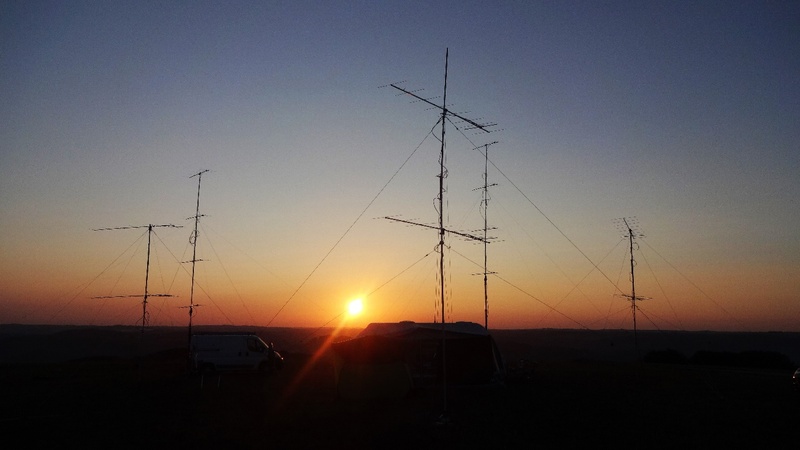 All antenna systems were on Friday and the equipment was ready. 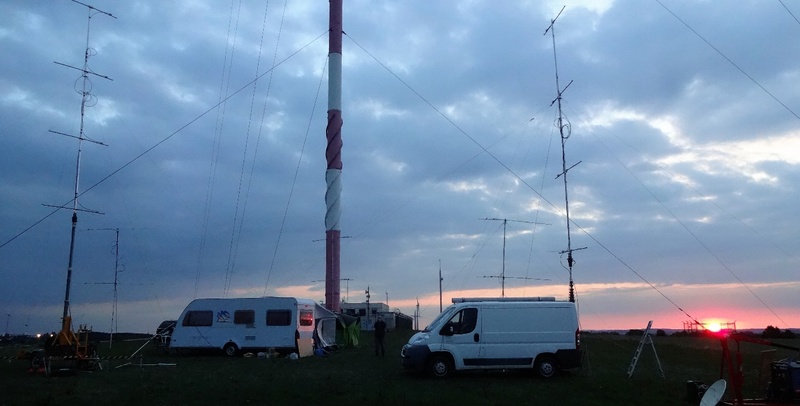 Started at 07:00 on Sunday and the band noise was now S8 / S9 from 180 degrees over the west to 15 degrees. At 8:00 am the decision taken to stop. 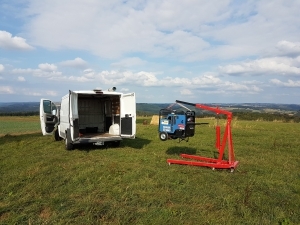 Unfortunately, the last “big” contest at the beautiful site of RTL LX, with permission from landowner BroadcastCenterEurope, which I wanted to run, failed; the spot is unusable after 15 years due to band noise at 144 MHz. 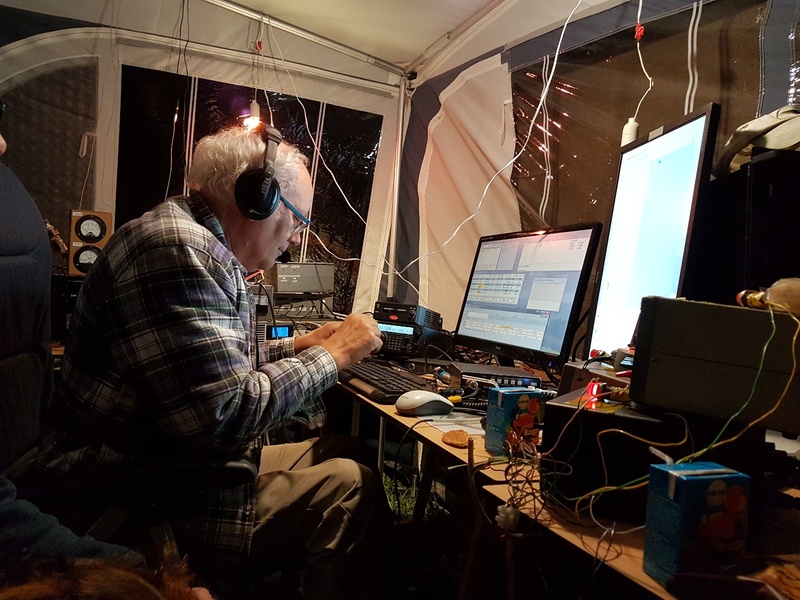 Many thanks to a fantastic week to Robert F4VSG, Charles PA0BDC, Hans PE1CKK and the unexpected, pleasant, visit by Ron DU3T (PA3BPC) and xyl.